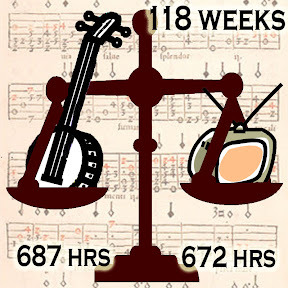 A check-in on the Banjo versus TV project — J.R.'s ongoing plan to spend more time on his banjo than on TV. This post covers 5/30/2010 through 6/5/2010. And yes, I'm posting it about 8 weeks after the fact. Life is busy right now. 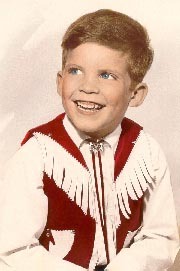 I've been thinking for a while that I needed to put more energy toward improving my banjo fundamentals. 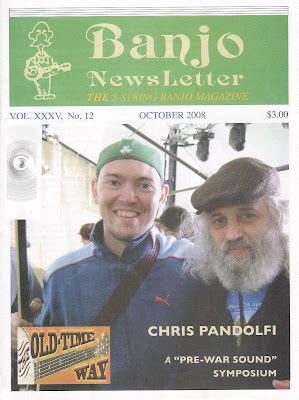 This week I read something from the October 2008 Banjo Newsletter that clinched it. A few of this issue's articles dealt with how to get the "pre-war sound" from a banjo. Various banjo luminaries were asked to opine on the topic. Some opined that various aspects of banjo composition were key to the pre-war sound; for example, Geoff Stelling said it's the age of the wood. But I think the best answer, put forward by several people, was that the pre-war sound is mostly about the player. There are four main elements of attack: the method of attack, the location of attack, the duration of attack, and the intensity of attack. A fifth and lesser element is the direction of attack. Each of these greatly affects how the instrument sounds. Similarly, changing any one of or a few of these will creatly change how the instrument sounds. One could almost stretch this idea to suggest that Earl has a "pre-war method of attack". The attack — exactly how Earl picks the strings — is a critical component of the sound of his banjo. And while this may surprise you, he carries that sound to other well set-up banjos he plays. Back in 1985 when I was working with Gibson on the development of the Earl Scruggs model banjo, we had prepared several banjos for Earl to play. As I sat there listening to him pick one each on, it was apparent that the sound from each of them had one major thing in common: Earl! [M]y conclusion is that by and large the most important component in the sound of the banjo is the nut that holds the picks. If I want my banjo to sound better, I've got to improve the quality of that nut. With my banjoversary approaching it's a good time to take stock of my banjo practice habits and to make some improvements. Stay tuned. Worked a little on installing my newly-arrived Silent Banjo System. More on that in later posts. I tried out some of the YouTube videos from FreeBanjoLessons, such as Cumberland Gap, but I didn't find them to be very helpful. Sure, the lack of banjo means this puts 6 minutes of time on the TV side of the scale, but it's worth it.